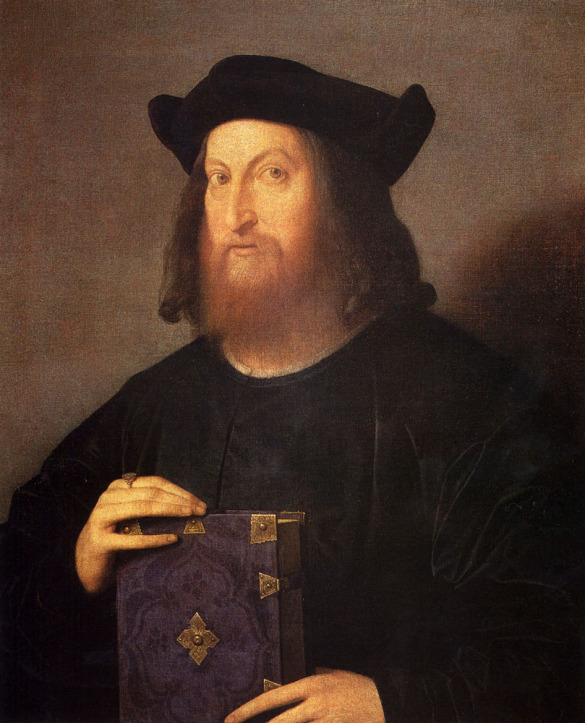 Giangiorgio Trissino dal Vello d’oro was born in Vicenza on the 8th of July 1478. He was the most famous intellectual of Vicenza in the 16th century. A poet and philosopher, a humanist and man of letters, an expert in the art of war and keen on architecture, he had a troubled life also because of his pro-imperial attitude. He wrote comedies, tragedies such as “Sofonisba” (the first modern tragedy) and poems such as “L’Italia liberata dai Goti“, an attempt of epic poetry revival. He actively took part in the debate about the Italian language, backing up the idea of a common language mixing all the Italian dialects, not only the Tuscan dialect. One of the most important Academies of Vicenza used to meet in his villa in Cricoli. Trissino was without doubt one of the main characters of the cultural life in that period, although his presence in the city was sporadic. In fact, he travelled a lot and lived also in Rome, Padua and Venice. He was also temporarily exiled because of his support to the emperor Massimiliano and his anti-venetian policy. Trissino’s name is linked to Andrea Palladio because he was the first to take interest in the famous architect and helped Palladio’s liberal and humanistic education. He died in Rome in 1550 and was buried in the church of Sant’Agata in Suburra.